for $289,900 with 2 bedrooms and 2 full baths, 1 half bath. 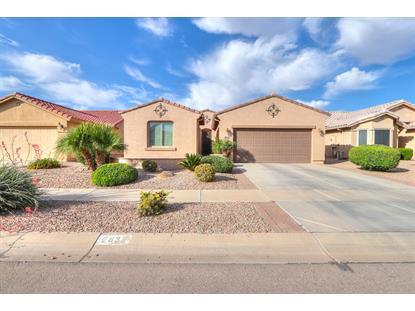 This 1,719 square foot home was built in 2009 on a lot size of 5351.00 Sqft. Breathtaking! This turn Key home on the 17th Fairway features 2 bedrooms, 2.5 bathrooms, den, 20'' tile & carpet flooring, recessed lighting, ceiling fans, engineered stone counter tops, RO, water softener, 42'' cabinets with crown molding & pull outs, in suite bedroom and bathroom for your guests, master w/his & her closets, raised bathroom vanities, dual sinks, extended length garage w/epoxy flooring & built in cabinets. 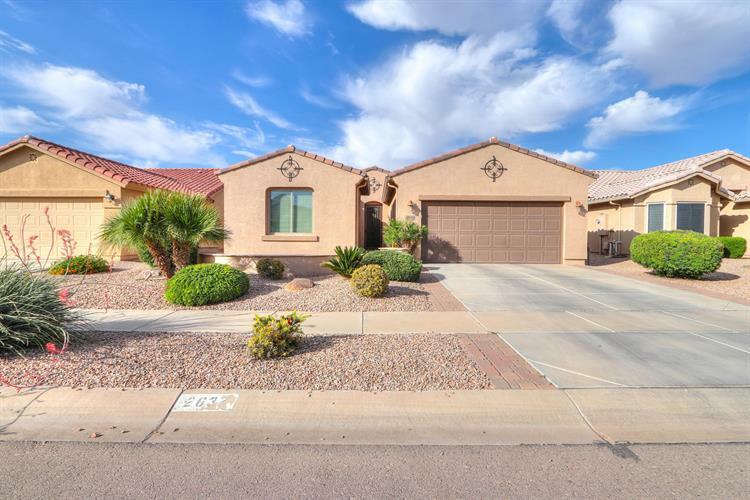 Outside features include South facing courtyard at entry, security door, extended back patio w/mountain & golf course views. Please call today to schedule your private showing!